Guelph, ON – The Green Party achieved historic vote totals in yesterday’s federal by-elections in Victoria and Calgary-Centre. In Victoria Green Party candidate Donald Galloway received 34.3 percent, narrowly losing by less than 1200 votes. Mike Schreiner will be officially nominated at the Guelph Green Party provincial nomination meeting on December 4 at Innovation Guelph, 7:30pm. 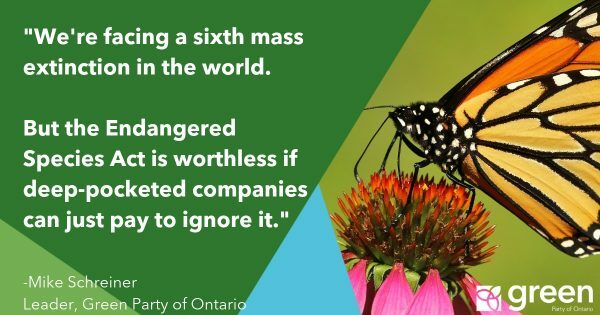 The provincial Green Party plans to go all-in to make history in Guelph by electing Ontario’s first Green MPP.